Information that has been updated since this page went live on March 8, 2018, is in GREEN TEXT below. The Smithsonian National Air and Space Museum (NASM), the National Center for Earth and Space Science Education (NCESSE), and the Arthur C. Clarke Institute for Space Education are proud to host the 2018 SSEP National Conference at the Museum on Thursday, June 28 and Friday, June 29, 2018. All students and student teams that were engaged in SSEP experiment design and proposal writing—across the last 5 SSEP flight opportunities (SSEP Missions 8 through 12 to ISS)—are wholeheartedly invited to attend their conference with their teachers and school administrators, and their families. The conference provides a formal gathering place where students present on their experiment designs, and those teams that flew experiments report results. We want to immerse students in the experience of a real science conference. It is fitting. If the SSEP is dedicated to letting students step into the shoes of scientists and engineers, then a conference should be part of the experience. The SSEP National Conference is taking place in one of the most visited museums on the planet, and in the new Moving Beyond Earth gallery. A stanchioned-off, ‘standing room only’ section of the gallery will remain open to the public so that the conference can be part of the public visitorship experience. This is a truly remarkable once-in-a-lifetime opportunity for attendees. 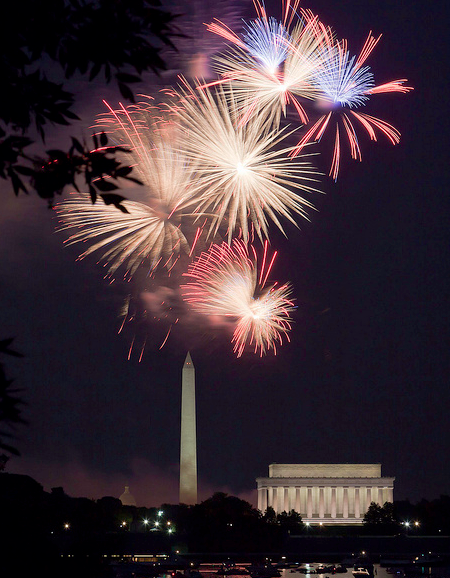 The conference was also scheduled before July 4th in the nation’s capital, so that attendees might be able to stay on and watch the 4th of July fireworks on the National Mall. This year we unfortunately could not schedule the conference any closer to July 4th than June 28-29, since the conference cannot be conducted on a weekend. Only pre-registered delegates with badges will be allowed entry to the main conference area. SSEP students, their teachers, and their families that are interested in attending the 2018 Conference, but who are not already part of attending delegations, should review this page and contact their local SSEP Community Program Director as soon as possible. Only a SSEP Community Program Director can submit a request to NCESSE to add delegates, and such requests will be assessed by NCESSE on a first come first served basis. If you do not know the name and contact information for your Community Program Director send us an email via the Contact page as soon as possible. NCESSE is able to make available VIP seats to representatives of SSEP strategic and national partner organizations, though VIP seating is limited. Partner organizations are asked to send us an email via the Contact page as soon as possible. When designing SSEP, we had our pedagogical approach to STEM education in mind. SSEP empowers the student as scientist, and within the real-world context of science that is far more than exploration through inquiry. SSEP allows student teams to design an experiment like scientists, with real constraints imposed by the experimental apparatus, current knowledge, and the environment in which the experiment will be conducted; it allows students to propose for a real flight opportunity like professional scientists, bringing critical written communications skills to bear; it allows students to experience a real 2-step science proposal review process; it allows students to go through a real flight safety review like professional researchers; and it provides students their own science conference, where they are immersed in their community of researchers, communicating their thoughts, ideas, and experimental results to their peers. Science is more than a way of thinking and interacting with the natural world. Science is more than a book of knowledge. Science is also a complex social landscape filled with challenges, and the need for multi-faceted and successful communication with one’s peers. SSEP is about introducing real science to our next generation of scientists and engineers. The main objective for the conference is to provide student teams a venue to report on their SSEP research, which, for each team, is reflected in the design of a microgravity experiment to assess some facet of nature. Reporting is done through both oral and poster presentations, which is precisely what researchers do at professional science conferences. Important Expectations: all students attending the conference that are part of SSEP experiment design teams shall present, either individually or as part of a team, an oral PowerPoint presentation in the conference venue (the Moving Beyond Earth gallery), and a poster version of their PowerPoint to the visiting public (in the Space Race gallery). Each Team will be assigned a time for their oral presentation on one of the two Conference days. Each Team will conduct a poster presentation on the same day as their oral presentation. Each team will therefore conduct their oral and poster presentations on the same Conference day. a. did not have their experiment selected for flight, the presentation should report on their ground truth experimental results, and possible hypotheses as to what they might have found if the experiment had been done on orbit and why. b. had a flight experiment and it returned from orbit well in advance of the conference, the presentation should include formal experiment analysis and results. c. had a flight experiment, but it returned to Earth just in advance of the conference, the presentation should report on preliminary results from the ground truth and flight experiments. d. have a flight experiment, but it has not yet flown, the presentation should report on preliminary ground truth results if possible, and possible hypotheses as to what they might find when the experiment is done on orbit and why. 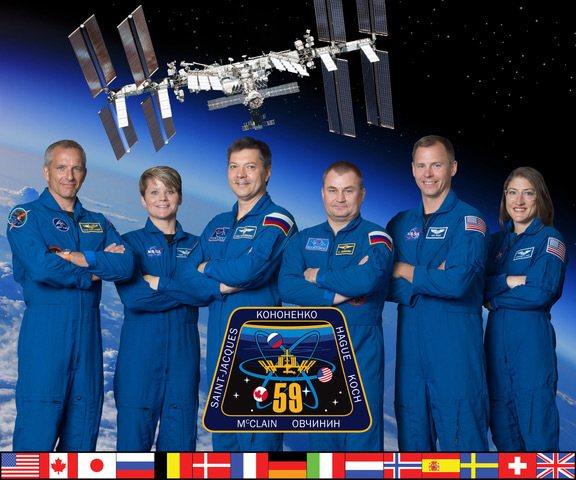 e. have a flight experiment currently on ISS, the presentation should include the current state of activities for both on-orbit experiment and ground truth experiments. Oral presentations must be done in PowerPoint format – no other format will be allowed or considered. Each team will be limited to a MAXIMUM of 8 minutes, including 6 minutes for the formal presentation and 2 minutes for Q&A. All teams should be aware that the moderator will cut them off after 6 minutes to begin the Q&A portion, to ensure we remain on schedule – as is the case for professional conferences. If the team’s formal presentation is shorter than 6 minutes, then that will allow more time for Q&A in the allotted total of 8 minutes. A rule of thumb is to allow for 1 minute per slide, which suggests no more than 6 PowerPoint slides for a single presentation. The oral presentation must include a slide at the beginning of the PowerPoint listing the title of the investigation, the SSEP community name, the schools represented, and a complete list of your student researchers, where each student is designated as a Principal or Co-Principal Investigator, Co-Investigator, or Collaborator. This slide must also include the name and affiliation of your Teacher Facilitator. Teams should not use what might be considered a ‘cute’ title for their presentation. This is a formal research conference and the aim should be to use a formal scientific title. The oral presentation must include a slide acknowledging all Local Partner organizations that made SSEP possible for the community, including funders, as well as institutions that provided staff to serve as research advisors or on the Step 1 Review Board for proposal review. A list of your Local Partner organizations that are known to NCESSE are found on the SSEP Community Profiles and Local Partners page for your SSEP mission. This slide must also include all SSEP National Partners that provided funding needed to close budget shortfalls for the community to participate in SSEP. Your Community Program Director should have a list of all Local and National Partners for your community. This slide is normally placed at the end of the PowerPoint. As part of the Conference experience, we are setting up tables in the Museum’s Space Race Gallery for display board presentations by the student teams. The idea is to give the students the honor of interacting with the visiting public to one of the most visited museums on the planet and talk about their SSEP experiments. The most straightforward way to create your poster presentation is to print in color, and on good quality paper, your PowerPoint slides and then tape them to the display boards. We will make available a 36 x 48 inch display board and a table for each presentation team. Remember the rule of thumb is that a 6-minute PowerPoint should be associated with no more than 6 PowerPoint slides (or 1 per minute), which will fit on the display board. To get a sense of both the oral presentations in the Moving Beyond Earth gallery, and the poster presentations in the Space Race gallery, see video highlights for prior SSEP National Conferences on the SSEP Scientific Return and Reporting pages. Oral Presentation Description: In advance of the conference, NCESSE will ask each student team to provide information on their oral presentation, including: the school, the grade level of the team, the presentation title, the type of experiment and SSEP flight opportunity (e.g., Flight Experiment, Mission 11 to ISS), the names of the researchers on the team (broken out by Principal Investigators, Co-Investigators, and Collaborators), the name of the Teacher Facilitator, and a description of the presentation – called an ‘Abstract’. The Abstract shall not exceed 80 words. You will find a sample Oral Presentation Description, and a downloadable Oral Presentation Template that each student team is required to complete and submit to NCESSE, on the 2018 Student Team Oral Presentations page. Once received and approved by NCESSE, your Oral Presentation Description will be added to the 2018 Student Team Oral Presentations page. Photo-Releases: We are video-archiving the conference, with video clips to be posted on YouTube. video clips of all oral presentations at prior SSEP conferences can be found at the Scientific Return and Reporting page. A signed photo-release from all attendees is therefore essential. In advance of the conference, EVERY attendee must provide a signed photo-release form, allowing video-taping by the Smithsonian. Anyone without a signed photo-release form on file cannot be admitted to the conference site. A blank Smithsonian photo-release form template will be sent to the community leadership in those communities sending SSEP delegations to the conference. IMPORTANT NOTE 1: Only Smithsonian Institution photo-release forms will be accepted. Standard forms used by schools will not be accepted. IMPORTANT NOTE 2: NCESSE will only accept a single PDF file from a community’s leadership that must include ALL photo-release forms for the community’s attendees. All photo-release forms completed by individual attendees must therefore be submitted to their community leadership and not NCESSE. IMPORTANT NOTE 3: a photo-release form for a minor must be signed by a parent or it cannot be accepted. Email your PowerPoint, and Bring a Back-up PowerPoint on a Thumb Drive: All presenters are required to email their PowerPoint presentations to NCESSE for review, approval, and acceptance. However, make sure to bring with you to the Museum a backup of your PowerPoint presentation on a thumb drive. Food: Attendees are on their own for lunch in the area, and no food or drink can be brought into the Museum. Note that the Museum has a McDonalds just outside the gallery where the conference is being held. Museum Fees: Entry to the Museum is free but the IMAX films, planetarium shows, and simulator have a fee. Arrival: Please arrive at the Independence Avenue entrance to the Museum each day. The venue for the Conference, the Moving Beyond Earth gallery, has very real space limitations. The gallery has approximately 180 seats, and at the gallery’s entrance and around the periphery there will be a stanchioned-off, standing room only section for overflow attendees and for the Museum’s public visitorship. As of June 5, 2018: 35 oral presentations, representing 23 SSEP communities, and 413 attendees. REQUIRED ATTENDANCE RESTRICTIONS: NCESSE expects 2018 conference attendance greater than the maximum seating capacity, and therefore requires a protocol to ensure that no more than 180 attendees are in the conference space at any given time. By definition the solution must be a compromise. The conference is designed to provide the SSEP student researchers a true research conference experience. The conference is therefore specifically designed to host the student researchers and their teacher facilitators. Family members – parents and siblings – are a secondary audience. Yet family members typically comprise the largest attendance block. We will therefore place priority on allowing all student researchers and their teachers/administrators to be in the conference space on their presentation day. We expect roughly half the total number of attending students to present on each conference day, which would require roughly 100 committed seats on that day if their teachers and administrators are included. This leaves roughly 80 seats for the remaining delegates – family members and stakeholders. Attendees are also welcome to use the standing room only public area. This approach has worked very well for prior conferences. NCESSE and NASM recognize that conference travel costs for attendees are significant, and in the midst of tough economic times for many communities. Professional conferences are always associated with registration fees to cover AV, room rental, and the significant staff time for logistics and program delivery. That said, both NCESSE and NASM have worked hard to minimize conference costs, and have absorbed these costs in their operating budgets. There is no registration fee for attendees. We do not want to add to the burden for attendees, and feel a memorable and very real research conference at the Museum—for students taking part in this ground-breaking U.S. National STEM education initiative—is something we wanted to do without cost. We are looking forward to your arrival in the Nation’s Capital, and our get-together as an SSEP family. The hotel we are recommending for the Conference is the Holiday Inn Washington-Capitol. It is just 2 blocks from the Smithsonian National Air and Space Museum. NCESSE has reserved a block of rooms at the Holiday Inn at conference rates – $253/per night, which does not include 14.8% DC Tax. Note this block of rooms will only be available for a limited amount of time. Any unused rooms will be released back to the Hotel likely 6 weeks prior to the Conference, by Monday, May 14, 2018. This information will be passed on to the SSEP Community Program Directors in each community to pass on to their delegations. 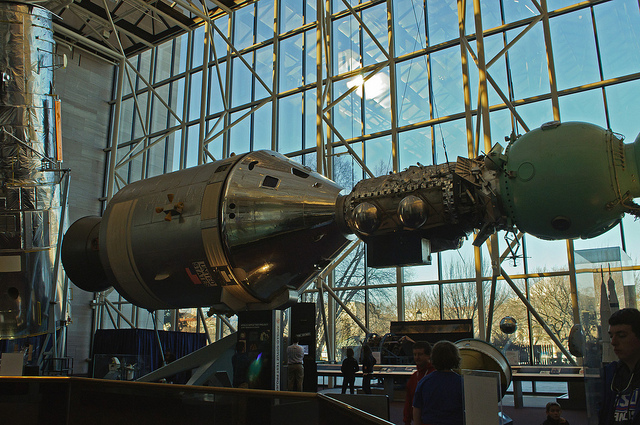 Note that the National Air and Space Museum is just two blocks from the L’Enfant Plaza Metro Station, so there are many other hotels in the metro DC area that are a short metro trip away from the conference site. Hotel rates further away from downtown DC may be significantly lower, so you may want to check hotels close to metro stops in the greater DC metro area. The yellow, green, orange, and blue metro lines stop at the L’Enfant Plaza metro station, and you can transfer easily to these lines from the red metro line, as well. For example, there are many hotels near Crystal City and King Street yellow and blue line metro stations, as well as along the orange line metro stops in Arlington (Court House and points west.) There are also many hotels along red line metro stops in Friendship Heights, Bethesda, Rockville, and Silver Spring. To look for lower lodging rates near metro stops in the area, we recommend you use a hotel search engine or booking site of your choice and search around a metro stop that is most convenient for you.